Here’s a great family-friendly recipe for a crushed ice drink that will cool everyone down in the summer heat! If you’re looking for something more adult, serve in a hurricane glass with an ounce of rum. Blend in blender until smooth and enjoy! Like this? You might also like our mango sorbet (gf and df), our home made vanilla ice cream (gf) or our (gf) iced coffee. 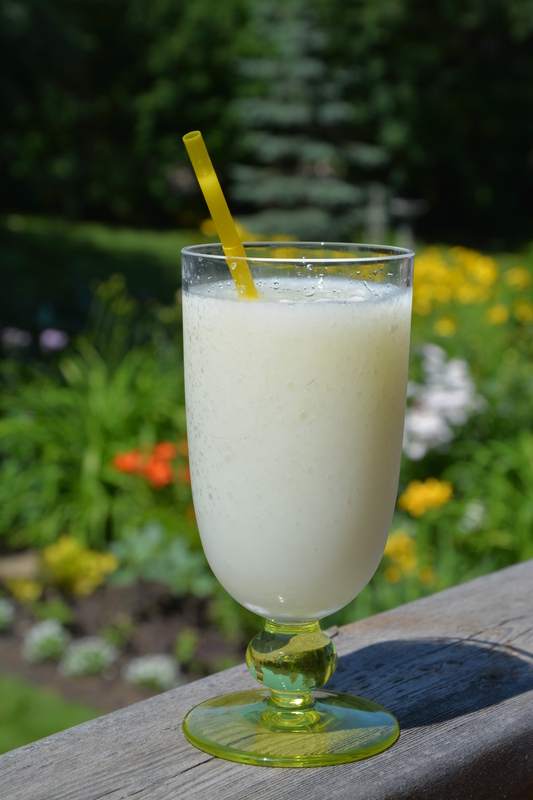 This entry was posted in Drinks & Desserts, Recipes and tagged blender drink, dairy free, dairy free milkshake, GF, gluten free in Red Deer, Pina colada variation, rum drink, Tropicana variation. Bookmark the permalink. Thanks! That made my night!